I'm a single mom of 2, and after a LOT of life changes in the past few years, most un-healthy--diet, exercise, relationships...I decided in January of 2018 that I would regain my prior healthy, happy self. 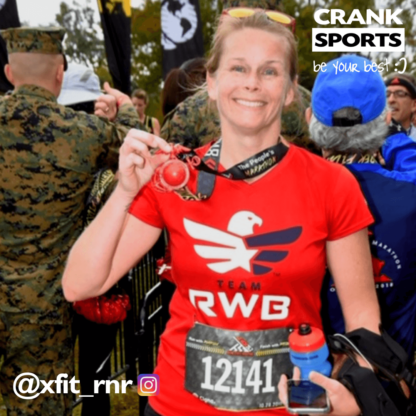 I signed up for a 6 week "new you" challenge at my now Crossfit box and also laid out a solid racing year that would end with my ultimate goal of finishing Marine Corps Marathon. Last year was epic and I have never been more healthy and happy! I saw an ad for e-Gel on either FB or IG and I did some research to see if it's a product I could use -- I don't do well with high-sugar stuff. I ordered the gel and fell in LOVE with it...and the best part...NO GI distress after the long training runs!! Also, no jitters!! 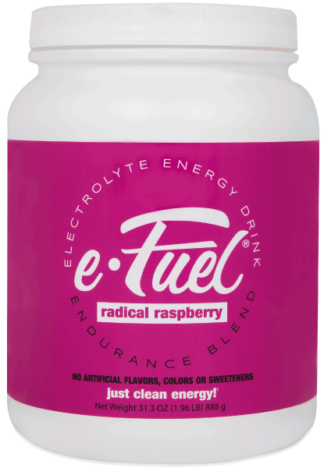 :-) So then I ordered e-Fuel (the drink mix). Both products keep me fueled and hydrated for all of my training, whether in the box, at the track or on the road.